Big news from Variety this morning. Streaming powerhouse Netflix have acquired nearly all global rights for Kim Jee-woon's Illang: The Wolf Brigade. 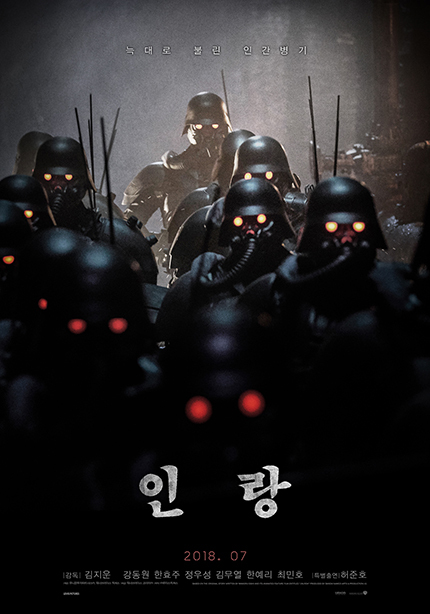 This new film from the director of such hits as The Good The Bad The Weird and I Saw The Devil is a live action adaptation of Okiura Hiroyuki's animated film Jin-Roh: The Wolf Brigade. The news is bittersweet because as new media has changed the way we watch content surely a movie of this scale deserves to be seen in a cinema rather than on our dad's home theatre in a box . We have included the teaser, trailer and a behind the scenes video below to show you just how big Kim had gone here. Illang: The Wolf Brigade opens in Korea on July 25th.